The San Juan Islands offer a vast playground for boaters, kayakers, divers and anyone wishing to be on or near the water. The San Juan County Sheriff and the United States Coast Guard Auxiliary are working together to make these activities as safe as possible for both adults and children. On April 30 from 9 AM to 5 PM at both the Mullis Fire Station in Friday Harbor and the Orcas Ferry Landing Conference Room on Orcas Island, the San Juan County Sheriff and the US Coast Guard Auxiliary will be offering a one day boating safety class. This class will cover a wide array of topics from “rules of the road” and safety gear to cold water survival. 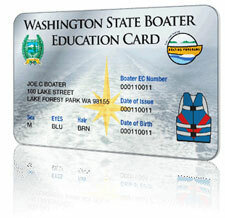 Successful completion of the class will qualify participants for the Washington State required Boater Education Card. To register contact David Tribolet at 376-3994 or tribolet [@] orcasonline.com.